Back in 2016, Nokia acquired health startup Withings in a deal estimated at $192 million, hoping to re-establish its presence in the consumer electronics market. Nokia did this by rebranding Withings' iOS compatible products under its own name, with devices like the Withings Steel Watch and Withings Go fitness trackers becoming the Nokia Steel and Nokia Go. Unfortunately for the company, the acquisition has largely been seen as a failure, with the digital health division earning just $62.4 million in 2017, part of Nokia's overall $27.9 billion in revenue for the year. Because of this, the company announced earlier in May that it would sell the division back to Withings co-founder, Eric Carreel, and today that deal has officially closed (via TechCrunch). Financial terms were not given for the sale, but it is said to have included 200 employees rejoining Carreel under the Withings brand. Moving forward, Carreel said that the next steps for the renewed Withings brand will be a "relaunch" of its products focused on preventive health coming by the end of 2018. 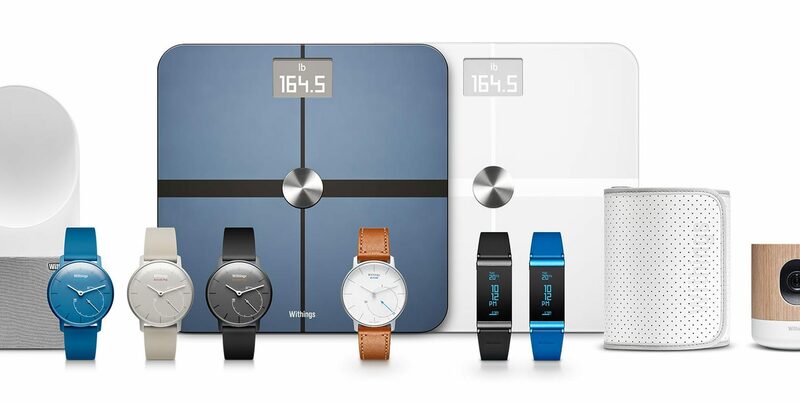 Withings offers connected products like scales, activity tracking smart watches, blood pressure monitors, smart thermometers, sleep trackers, and more, and according to TechCrunch it "sounds like it will keep all of these in place" after the relaunch. The news of the deal closing also brought confirmations of an executive shakeup in Nokia, with president Gregory Lee exiting Nokia and Maria Varsellona stepping up to the duty from a chief legal officer position. In late 2016 Nokia and Apple entered a series of legal battles that began when Nokia sued Apple for patent infringement in the United States and Germany. As the dispute escalated, Apple decided to remove all Withings products from Apple.com and most Apple retail locations around the world, since the connected health devices were at the time under the Nokia umbrella. Although many of the Nokia-branded products have since returned to Apple.com, Withings should have a much easier time selling its smart scales and more when it returns to its original branding scheme later this year. I consider this company dead. You buy a Withings branded device. Nokia buy and change the app, rebrand all the products to Nokia. Now Nokia branding will be removed and Withings put back. How are these metrics achieved on an Apple Watch. The Nokia health app is a disaster. I welcome this change. Hopefully, they reintroduce the old app! Makes sense. Nokia wrecked that brand. I understand the products they sell, but the problem is things have changed. Normally you would buy into an ecosystem, tracker, sleep device, blood monitor. Apple Health makes this unnecessary. The data from my Apple Watch shows up in the Nokia/Withings app, and the App from their devices shows up in Apple Health and any other app that's allowed to use its data. If someone upgraded from their Withings tracker to an Apple Watch for example and loved it, would they be likely to buy another tracker from Withings? would that also affect any other products they purchased from Withings? Most likely. So if they liked their Apple Watch, they wouldn't buy any smart scale, since Apple doesn't offer one? That doesn't make much sense. Those customers who liked Withings either now hated them (thanks to the app) or changed to a Nokia branded product or another brand. Fitbit's sales have been dropping in 2017 ('http://fortune.com/2018/03/01/apple-watch-fitbit-wearable-ranking/'), most likely due to the Apple Watch's competition. By your own logic that should mean that their other devices are in trouble, too, because supposedly someone who likes their Apple Watch is less likely to buy anything (even a scale) made by a competitor. Apple acquired Beddit so either their watch will track sleep soon or they will bring out a device to do it like Beddit. Withings sleep tracking sales would disappear. From what I've heard, the Withings sleep tracker never worked all that well anyway. Plus, it's expensive, and I don't think there's nearly as much of a market for it as for, e.g., scales. IMHO, they'll end up axing that product. And I think Apple won't release a dedicated sleep tracker, either, but rather use Beddit's know-how to improve the Apple Watch. I give them 12 months before they shut down. I don't know Withings' finances enough to comment on that, but I'd say that depends on the strength and profitability of their complete line-up and not on consumers buying into one ecosystem over another. Without any sales figures it's hard to tell. On their website they usually focus on their smart watches, fitness trackers. Right now at least, the scales get very much top billing ('https://health.nokia.com/us/en/'). It doesn’t matter what they sell. The core products are the smart watches and fitness trackers. Unfortunately, due to the Apple Watch there is no hope for them (they couldn’t even compete against Jawbone and look what happened to them, no chance against Fitbit or Xiaomi as well). Which means, regardless of how good their other products are, they will fail. Great activity trackers in 2012, but things have moved on. Remember this post when you read in the next 6-12 months about Withings shutting down. If I stand on top of the Apple Watch, will it give me my weight? Give it a go and feedback how it goes! I have the scale and the blood pressure cuff. The app works fine with those, and it pulls my steps from my Apple Watch. It's not disastrous, it doesn't do much else, but saying it was disastrous is a bit of a stretch. It doesn’t matter what they sell. The core products are the smart watches and fitness trackers. What makes you say that? Withings started out with smart scales and blood pressure monitors, and I would imagine that's still where their main income is coming from. They tried branching out into the wearable market when the initial smartwatch hype was in full swing, but I don't think they ever managed to capture a sizeable market share. In hindsight, it probably wasn't a smart business decision, but I wouldn't call these their "core products" by any means. Yes, this is awesome news. Once nokia bought them I gave up on their app and just had it sync to myfitnesspal. Nokia has made some really nice hardware in the past, but software just isn't their forte. I understand the products they sell, but the problem is things have changed. Normally you would buy into an ecosystem, tracker, sleep device, blood monitor. If someone upgraded from their Withings tracker to an Apple Watch for example and loved it, would they be likely to buy another tracker from Withings? would that also affect any other products they purchased from Withings? Most likely. Apple Watch doesn't monitor your blood or try to. With Apple's built-in feature set, it doesn't even serve as a sleep tracker; you can install third-party ones (and I have), but it isn't optimized for that. Instead, HealthKit is designed to aggregate data from many sources. And how do you use the Watch as a scale or thermometer? If I wanted a pair of scales, I would go for a Fitbit one or one by Xiaomi (costs about £30) or use a pair already in my bathroom. Both have not changed their names and have high sales figures! Whereas Withings/Nokia is in the 'other' category when it comes to sales. Withings isn't going to win the stupid race to the bottom pricing game, and if they're smart, they won't play in it either, rendering Xiaomi offerings irrelevant. They have a highly popular scale. That you can get one for cheaper doesn't matter. Apple acquired Beddit so either their watch will track sleep soon or they will bring out a device to do it like Beddit. It's been years since that acquisition and while Apple may eventually offer something, they may also have decided that it wasn't a market they were interested in. They… they do? I went to their page and the first entire page is filled with a scale. Below that, a watch and another scale is mentioned. Below that, their app.